LONDON. KAZINFORM - Last week, the University of Warwick hosted the UK's first student-run Central Asia forum Central Asia: Crossroads, Challenges and Change. The purpose of the forum was to bring together the worlds of academia, politics and business to discuss topics regarding Central Asia's place in the world, Kazinform has learnt from the Kazakh Embassy in London. The Forum was attended by scholars and experts from top UK think tanks, research institutes such as Chatham House, as well as leading UK universities such as SOAS. The event focused on a wide range of issues related to the contemporary problems of security, politics, economics, culture and education in the wider Central Asian region. Ambassador Erlan Idrissov, who spoke at the Forum about the role of Kazakhstan in Central Asia, provided participants with insights into the large scale reforms that were being implemented in Kazakhstan. The reforms are in line with the nation's 'Kazakhstan 2050' economic strategy, Kazakhstan's modernisation of national identity program, as well as other key state programs. Ambassador Idrissov also drew the audience's attention to the key points from President Nazarbayev's State of the Nation Address, 'New Opportunities Under the Fourth Industrial Revolution'. The key steps taken by Kazakhstan to ensure stability and sustainable development in Central Asia include membership of the UN Security Council for 2017-2018, the establishment of a nuclear-weapon-free zone in Central Asia and our initiative to create a forum for more robust regional dialogue within the C5+1 group. Kazakhstan is making significant efforts to ensure greater security in the region, including assisting with the international stabilisation efforts in Afghanistan. An important economic initiative in the region's development is Kazakhstan's active participation in the implementation of the Chinese 'Belt and Road' initiative. The forum also heard reports on the economic and political development of Kyrgyzstan, Uzbekistan and other Central Asian countries. 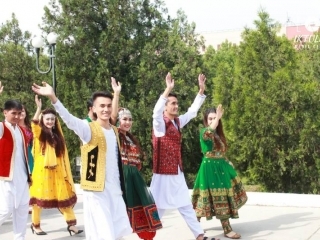 Participants also held separate seminars on the social and cultural development of the region. The event was organised by the Central Asia Forum, which was founded by the students of the University of Warwick in the United Kingdom, the first of its kind in Europe.